The festive period may be firmly behind us but does that mean I’m going to stop wearing bright red lippy? Does it heck. I’ve spent most of this winter wearing a full face of make-up and I don’t see why I should change that any time soon. If anything, I think February on its own is a good enough excuse to keep experimenting, because like its predecessor, February can get dull. Here in Wales I’m pretty sure the heavens have opened permanently, and it makes it so much more difficult to leave the house. And yes, I know I chose to move here, but to be perfectly honest with you I haven’t really noticed a difference in the weather here and the weather back home. So there. Anyway. 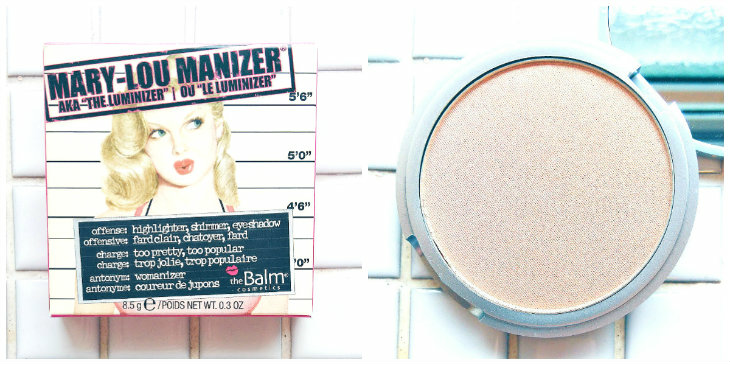 What I was trying to say before I got distracted by the weather (how very English of me) was that having fun with my make-up always cheers me up, and there’s no brand more fun than theBalm. 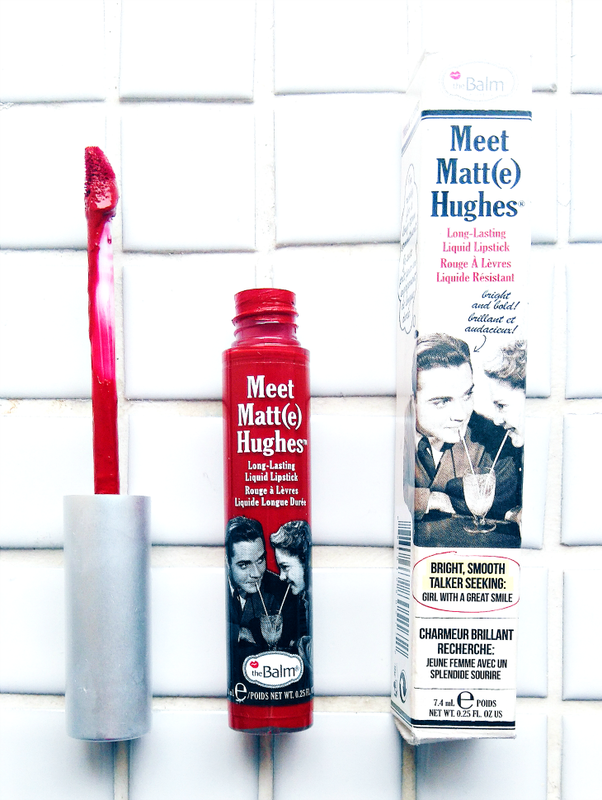 I bought the Meet Matt(e) Hughes Long Lasting Liquid Lipstick in Loyal back in December — the perfect postbox red — and I was over the moon when I found the much-raved about Mary Lou Manizer Lumanizer in my stocking on Christmas morning. And oh my goodness, Mary Lou is everything I hoped she’d be. A sweep of this powder along the cheekbones adds a subtle highlight that makes skin look 10x healthier. There’s none of that horrible fibre-optic glitter particle kind of look here, just a pretty glow. £17.50 is a lot of money for a highlighter but there’s a reason everyone raves: it’s worth it. If you’re going to splash out on only one product, make it Mary Lou. Meet Matt(e) Hughes needs a bit of a top-up after eating but it survives drinking very well, and it doesn’t budge; it even stayed put when I spilt prosecco down my chin (don’t ask). Once it dries it has a matte finish, as promised, but it doesn’t feel like your lips have been encrusted or dried out — it’s perfectly comfortable. There’s also no feathering, even though I tend to skip liner with this one. Meet Matt(e) Hughes has a peppermint scent, which I know some people love and some people can’t stand, but fortunately I fall into the former category. 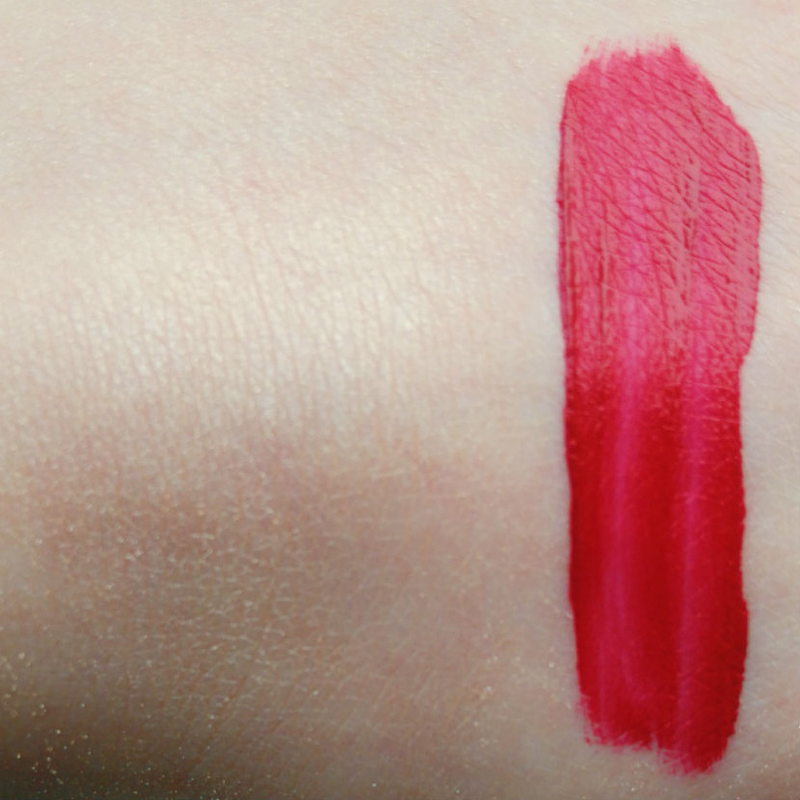 It’s something to consider though, if you’re thinking of giving this liquid lipstick a go. I’m very impressed with both of these offerings by theBalm, and I’d love to try more from the range. What on earth do I pick next? Have you tried anything from theBalm? Are there any products you’d recommend? Let me know in the comments!